Josh Ens goofs around while grilling burgers with fellow fire fighters Merlin Funk and Corey Unruh. 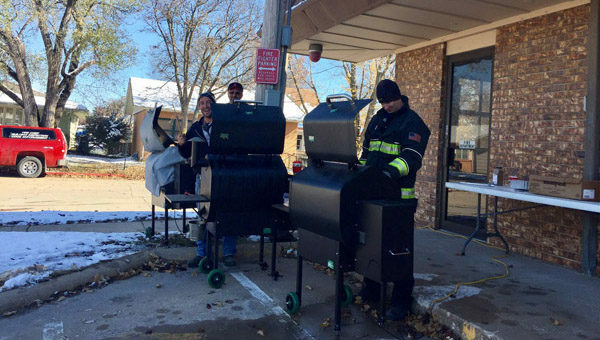 The Hillsboro Fire Department hosted a hamburger meal at the local fire station on Saturday, Nov. 10 to raise funds for general needs at the station. “A lot of people came through so it was a success,” said Ens.